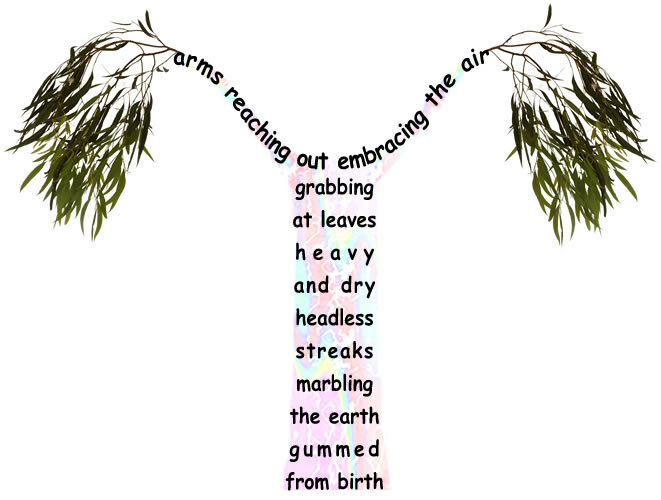 This is a concrete poem whose shape adds meaning to the words. This poem started out as watercolour on computer generated text in 2000. The first fully computer generated version was published in 2001 and called "arms." Later the name was changed to "Gum Tree"
and now the leaves have been changed again and renamed "Gum Trees."